The supper club phenomenon is thriving, and there are new ones sprouting up everywhere. For lovers of food and entertaining, this domain is the platform to arrive shipped shaped for fun times. What is really fantastic is that some people are taking this to a new level. A few weeks ago, I went to The London Cooking Club, hosted by The London Foodie, Luiz Hara - one of London's top food bloggers. Basically, he sets a theme, sends out recipes, invites his readers to come along, you cook it, bring it over, finish it off in his gorgeous kitchen and share! I kid you not, it’s a great evening. Suddenly, you are sat next to someone whom you would have never met otherwise and they’ve made you some food! This is such a great unique experience – because everyone gets to participate in making the evening happen and the main theme of it all is giving and sharing. On the day I went, it was Thai and we all had to bring a dish that we have made from David Thompson’s Thai Food recipes. We had about 10 dishes all made by each guest. Everything was indeed a delight. My favourite was Kellie & Ben’s Beef curry, however everything was too, fantastic. It was an excellent way to test out a recipe book as well, because you can see if everyone had the same trouble-spots or not. I made the thai fish cakes, followed the recipe to the word and guess what – I had to bin everything, so I quickly discovered that this recipe was totally flawed. I wasn’t too happy to go back to the shops to buy more fish – the thing I hate most is wasting fish – as indeed – there aren’t too many in the sea anymore. 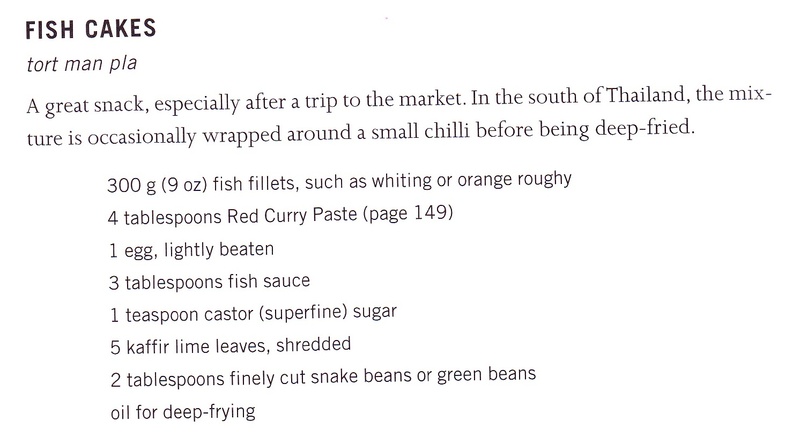 4 tablespoons of red curry paste for 300g of white fish? 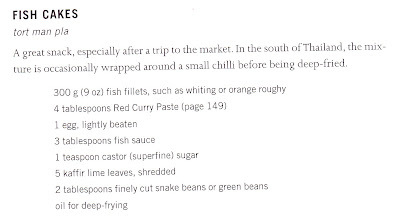 Followed by 3 tablespoons of fish sauce? NO NO NO! I should have known better than to follow that to the bone! Sounded like a recipe for curry flavoured fish sauce to me. 1 teaspoon of sugar – is certainly not going to balance out the saltiness in these babies! This is of course not the fault of Luiz, but this is just fantastic to know if a recipe book works or not. For instance, someone made ginger and mussel soup, although it was tasty, o my, there was just a lot of ginger in it – there was no balance of ingredients – and of course, this is not the fault of the cook, we all followed the recipe as instructed (apart from me – I had to guess the quantities altogether second time around and wasn’t too pleased with what I made). Anyhow, the evening was fantastic, I got to share it with The Shed Likes Food and also Vintage Macaroon. Luiz and Dr G’s home is really lovely, very grown up! They have all the stuff you’d want, beautiful things, cosy and atmospheric. 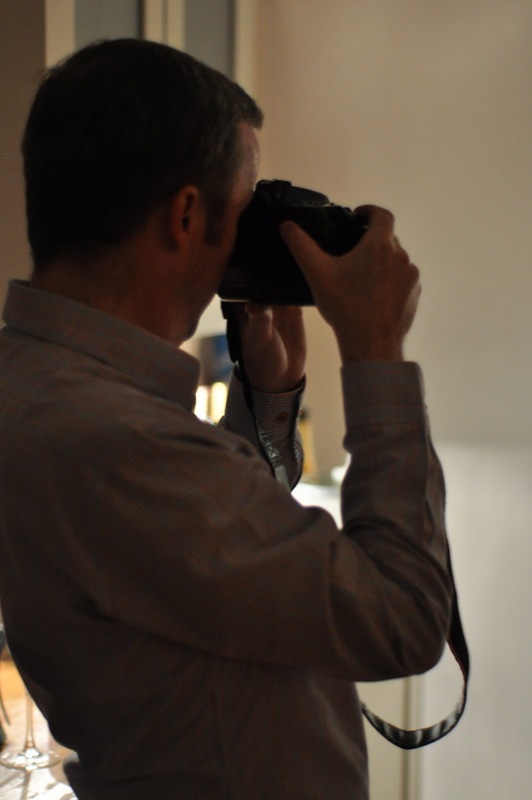 It is about this time last year, on 4th December 2009 when they came to our supper club! Happy Anniversary to us Luiz! I wrote an email to Luiz asking him to come to review our supper club and he did! Since then, we have all done so many things together and have become great friends. The London Cooking Club is such a fantastic idea to bring people together, to make new friends, to eat well, to learn more… its doing something new. On a cold winter’s day and you are walking pass the window of people having a lovely dinner party, it always looks like in the movies where everyone is having such a good time. Well, here they are! And anyone who wants to make new friends and loves to cook, this is the place to be. And you’d be doing a great service to all when you test out recipes from famous cook books! Recipes from "Secret of the Red Lantern" and "Songs of Sapa"
Check on The London Foodie Blog for The London Cooking Club dates and book yourselves in and go!